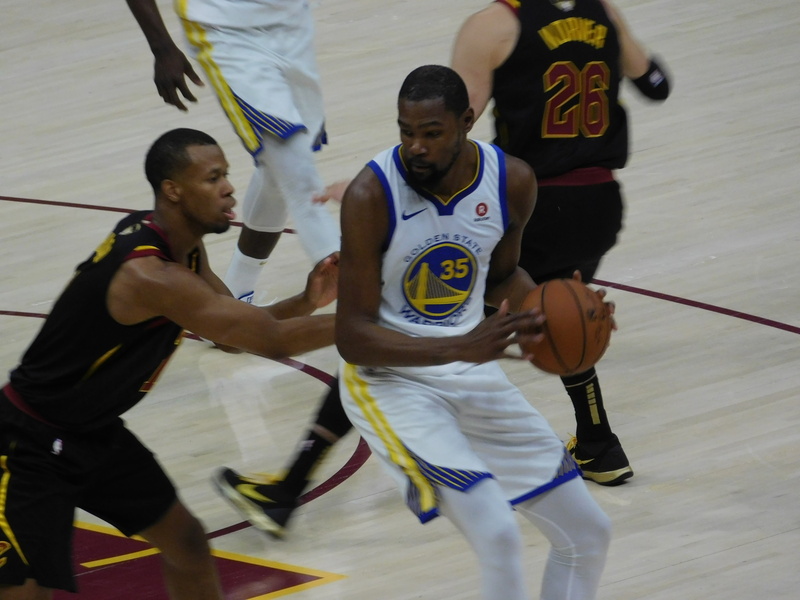 CLEVELAND– The Cavaliers season is one game away from being over, as they were toppled by the Warriors inn Game 3 of the NBA Finals, 110-102. LeBron James was magnificent with his 10th career Finals triple-double, putting up a team-high 33 points, 10 rebounds and 11 assists. Kevin Love had a double-double in the first half, and ended the game with 20 points and 13 rebounds. Rodney Hood added 15 and J.R Smith 13. In the end though, it was all for naught as the Warriors were led by Kevin Durant’s 43 points. They were balanced down the line the rest of the way, with Steph Curry adding 11 points, while Draymond Green, Klay Thompson, JaVale McGee and Jordan Bell all added 10. Before the Cavaliers play in their fourth elimination game of these playoffs on Friday night, here are three takeaways from the Game 3 loss.